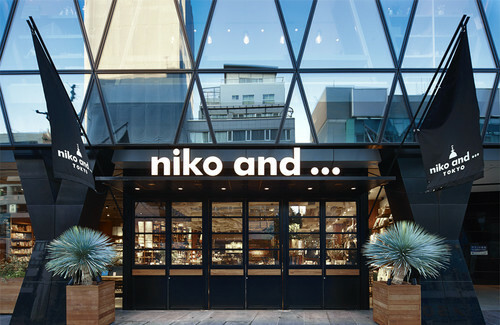 niko and … TOKYO is a select shop located at near Harajuku station. The name of shop comes from “Nobody I Know Own Style” and the concept of shop is proposing life style for each individual people. The store deal in a wide variety of merchandises including clothing,health&beauty,original/European furnitures, music accessories, stationaries.The first floor of store handle with lady’s apparel, furnitures, books,shoes.Cafe space is located on the first floor and just left side of main entrance. 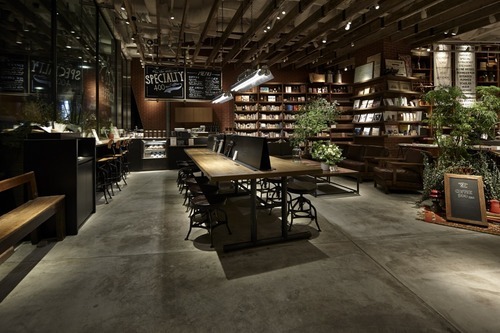 The number of seats is 18 seats and its not really big cafe space but you can enjoy shopping and nice coffee break.The second floor is space for men’s apparel,lady’s apparel,green plants and small furnitures. Also there is a restaurant at the second floor and name of restaurant is “navarre“.Navarre is popular restaurant in Portland and first shop opened in Japan.The restaurant deal with mainly organic vegetable menu. 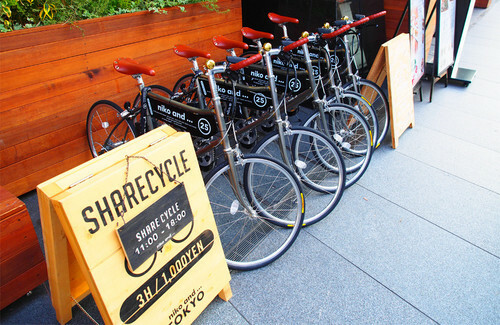 If you are intrested in Harajuku area, you can rent a bicycle at a store so check price list below.